Looking for a professional experienced in the removal of wild animals from your home, business, commercial or industrial property. 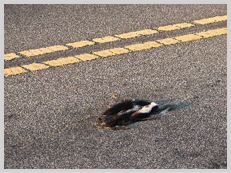 We maintain a list of local professionals in your area experienced in the removal of nuisance bats, birds, coyotes, fox, groundhogs, ground squirrels, gophers, marmots, moles, muskrats, opossum, otter, prairie dogs, raccoons, rockchucks, squirrels, skunks, snakes, whistlepigs , woodchucks and yellow bellied marmots. 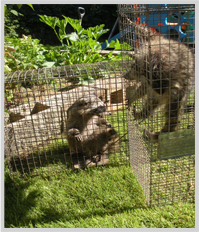 Find Local Wildlife Removal Specialists. No middle man. Call them direct using ANYTIME WILDLIFE TOLL FREE CALLS and save $$$. Need help with bats, birds, groundhogs, raccoons, squirrels, skunks, snakes and woodchucks.We trap, remove, prevent and control nuisance wild animals or problem wildlife ! The Wildlife Removal Company of the United States and Canada is actually a directory of members of the Wildlife Pro Network who advertise with Sites By Robb Local , a internet marketing advertising agency that specializes in wildlife removal and pest control professionals. A Exterminator is a practitioner in pest control. Most on the directory handle both invertebrate (insects-roaches,ants termites, bed bugs, etc.) and vertebrate (bats, birds, reptiles & animals). Some specialize in vertebrate pests or invertebrate pests only. Some may even be able to help you capture a exotic species like boas, pythons, large snakes, monitor lizards, scorpions. Their directory pages however describe their exact services they offer in your local area. We understand what it is like to wake up and find a bat in your home in the middle of the night. Emergency bat removal nationwide. Please never let anyone sleep in a house with a bat in your living area. 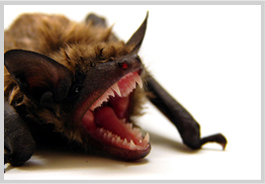 If you woke up with a bat in your room please call your local county health board about possible bat rabies exposure. 24 hours a day, seven days a week. We have included the following video not produced locally but should address many of your concerns. We would be happy to send out one of our standby bat removal technicians and get the bat out of your home and then return to your home and do a complete inspection and determine the sources of bat colony activity in your home. We often do find live bat colonies in attics, eaves, chimneys, fireplaces, basements, garages and even behind the shutters of a home or business. Emergency bat removal nationwide . Please never let anyone sleep in a house with a bat in your living area. If you woke up with a bat in your room please call your local county health board about possible bat rabies exposure. We provide humane bat removal and we take pride in removing bats from homes and attics without ever having the need to personally handle or trap them . We use special one way bat eviction tubes that let the bats get out and keep them from returning and getting back into your home or attic again. We take great pride in promising that we can get your bats out , totally get rid of your bat problem and back up all of our full bat exclusion work with a â€œNo Bats Left Behind Guaranteeâ€. The most important part of bat proofing is the bat inspection of your home. 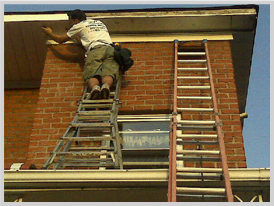 A genuine bat inspection can not be done over the phone, or from on the ground looking up at a homes roof. Bat inspections take time since each and every imperfection of the home must be found that is bigger then 3/8 ths of one inch and this takes time. many times homes are designed rain tight but not bat tight and few if any builders in this area even have a clue how to keep bats out let alone get your bats out and that is why you always need to hire a professional bat removal and bat proofing specialist . The biggest reason bats are found in homes is due to poor maintenance or poor design of the home. Sometime wild animals such as raccoons, squirrels or even birds begin the damage and since a bat only requires a minimum of 3/8ths of an inch even small damage by squirrels, mice and rats are enough to invite a bat colony to stay at your home in your attic, chimney or basement. I cringe every time a customer calls and says they have bats in their home. I like bats and they do many great wonderful things for our environment and eco system but I draw the line once I discover they are co existing with humans in the same structure. Bats donâ€™t need to be exterminated and today we have many great ways to control bats and remove bats from homes, attics, basements,eaves, vents, fascia, soffit, chimneys and fireplaces. I missed a few other places our customers call in and say they found a bat at but you get the idea. We never would of ever dreamed of advertising using the words bats and exterminator together since the word exterminator is often associated with death and euthanasia two things when it comes to bats we just wonâ€™t stand for. We are very successful in the professional elimination of all bat species inside of your home, attic, chimney, fireplace, crawlspace and or shed & garage which you may have an ongoing bat concern. When animals co-habitate in your homes walls, attics or living area certain precautions may be required to sanitize noxious odors, bacteria, and fungal diseases which have been proven to affect the overall health of family and pets and the resale value of your home. 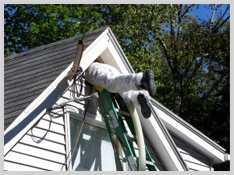 Common services include attic insulation replacement, soiled attic insulation removal, deodorization, sanitization , repair or replacement of damaged areas, insect treatments and more. What do you do if you find dead wildlife on your property and the county and state refuse to remove it. Call one of our members some jobs are as simple as moving the dead animal to a curb for local removal or complying with other local regulations. Most wildlife removal professionals have have special equipment to see behind walls and locate dead or even live animals in walls,no matter how big or small if you need help call a local professional we provide here.